Pain is defined by the International Association for the study of Pain (IASP) as “an unpleasant sensory and emotional experience associated with actual or potential tissue damage, or described in terms of such damage”. Pain can be divided into two types according to duration acute and chronic pain, in chronic pain duration of time more than 6 months and in acute pain less than 6 months. 1. ACUTE PAIN: Acute pain “is arise due to damage to the tissue. Acute pain is short-term or can be easily identify pain causes. Pain occurs due to inflammation and inflammation occurs due to damage of tissue or nervous, nervous damage due to surgery, cancer, infection, cancer, fracture, diabetes and chemotherapy. 2. CHRONIC PAIN: Chronic pain these are long-term pain. 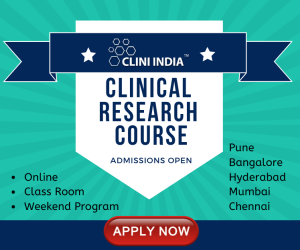 Chronic pain intermittent and is generally difficult to treat and harder than acute pain. • Nocireceptors: These are pain receptors located outside to the spinal column in the dorsal root ganglion. These sensory nerves endings seem to be branches of small bushes(1). • Analgesic these are the agents which are used to relieve pain without loss of consciousness. Analgesic is Greek word an (“without”) and algos (“pain”). 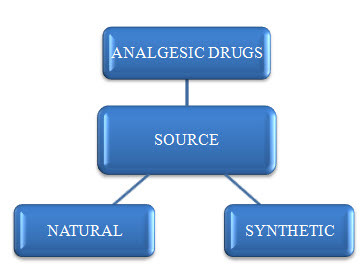 Analgesic agents act various form central nervous system and peripheral nervous system. • Prostaglandins are formed from cyclooxygenase 2 (COX-2) enzymes. Cyclooxygenase 2 enzyme is secreted from damaged cells and produce pain sensation associating through the receptors connected to G-proteins and increasing amount of CAMP in the cells .Nowadays use non-steroid anti-inflammatory drugs to control the pain. Their analgesic action is produced fast but their side effect is main disadvantage using them(1). These drugs causes stomach dysfunction, pruritus, blurred vision, Dizziness, skin rash, and liver damage .Non-steroidal anti-inflammatory drugs are more expensive. To minimize their side effects and costs researches are looking to natural medicines obtained from herbs. • Herbal active pharmaceutical ingredients lowering pain sensation include volatile oils (monoterpenes and sesquiterpene), Coumarin, alkaloid ingredients, organic acids, glycoside steroids, Limonenes, Cineols, Saponins, Phenol ingredients such as Thymol and Carvacrol, flavonoids, Quercetin (Theken, 2018). • Herb containing flavonoids performed many effects by blocking the cyclooxigenase enzyme, tannins. 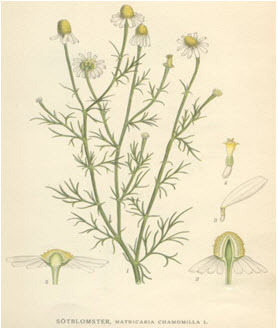 The chemical constitute iridoid and flavonoid in extracts of herb is responsible for analgesic activity. Monoterpene ingredients linalool presence in cinnamon extract that act on pain receptors and produce an analgesic action. Phenols like eugenol block calcium from into the cell and thus loss the pain sensation. In rhizome gingergengerol is active chemical constituent it has strong activity to inhibiting prostaglandins. And produced mechanisms that lower vascular permeability and induce of pain mediators, is the main analgesic agent of ginger herb. Analgesic activity of ziziphoraclinopodioiedes obtained from the Lamiaceae family that produced analgesic activity by inhibiting acid and prostaglandins synthesis and arachidonic affecting opioids (Zafar, 2010). 1. Synthetic drugs: various drugs have analgesic activity like paracetacetamol, diclofenac, NSAIDs, ibuprofen, cox-2 inhibiters etc. A. Opioid Analgesics: Opioids drugs are narcotics derived from Opium. Opium is obtained from the dried latex of the opium poppy, (Biological source: Papaver somniferum). Opioids are drug which act on opioid receptors in the (CNS) central nervous system & opioids used as analgesic activity. Opioids used in chronic diseases like cancer to relieve sever pain. 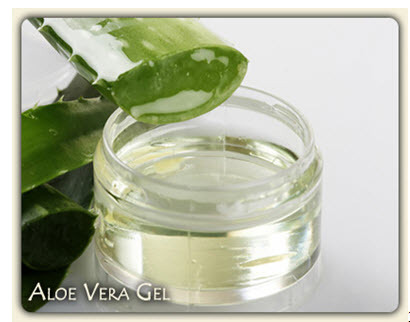 i. Aloevera Barbedensis: Aloe Vera gel extract is used. Aloevera produced anti- inflammatory action by inhibits the cyclooxygenase enzyme and decrease prostaglandin E2 secreation from arachidonic acid. The new anti-inflammatory compound called C-glucosyl chromone was isolated from gel extracts (Abel, 1995). Liquorice root (rhizome) commercial extracts of glycyrrhizin in ammonium salt and G. glabra alcoholic extract which produced of four active ingredients: hydroglia aspirin C and dehydrogol aspirin D, glycaemia coumarin glycerin. Other ingredients of Liquorice are flavonoids, coumrins, amino acids, esteroles, Liquiritin, formononetin, starch, Saccharides, resin, oil essences, and saponins. This herb is anti-inflammatory activity. iii. GINGER (ZINGIBER OFFICINALE (Ahmad et al., 1993, Karthika et al., 2018): Ginger rhizome extract is used in joint swelling. It was reported that ginger relieve pain and relieve swelling in patients with rheumatoid arthritis osteoarthritis as well as those with muscular pain without cause of any adverse reaction during a period ranging from 3 months to 2.5 years The main aim to study ability of Ginger-juice used as analgesia. 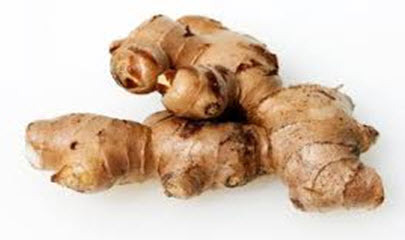 ginger active constituents blocked arachidonic acid metabolism cyclooxygenase (COX) and lipooxygenase (LOX) pathways. Part of plant use: flower buds. 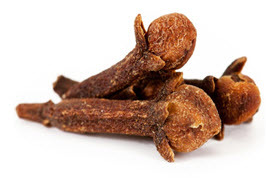 Extraction of clove buds can be used aqueous and organic solvent like ethanol. Chemical constituents of clove: Eugenol, methyl salicylate, acetyeugenol, pinene, vanillin. Eugenol mainly shows the analgesic activity. Chemical constituents: camphor, linalool, safrole, nerolidol, borneol. Parts used: wood and root. 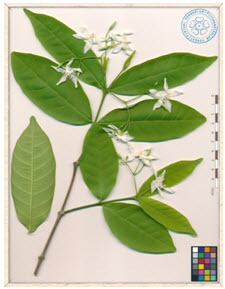 Figure 6 : cinnamomum camphora. Extraction process: whole plant collected sample air dried and grind to fine powder, powder is extracted with 100mL of methanol using soxhlet apparatus for 6 h. filtration of extract, dry it. Chemical constituents: essential oil isochrysanthemic acid, ethyl ester, spathulenol, α-cadinol, gerany lisovalerate, M. matricarioides essential oil has been found to contain geranyl isovalerateas a major component of the essential oil, which is studied for its analgesic effect(Metrouh and Amir, 2018). carbohydrates, amino acids, flavonoids, glycosides, saponins, sterols, tannins and phenolics. Part use: plant, leaves, seeds. MOA: Inhibition of prostaglandins, histamine and acetylcholine. 2. Ahmad F, Rashid S, Bingol F, Sener B. (1993); Screening of some Turkish medicinal plants for their analgesic activity; Pakistan journal of pharmaceutical sciences; 6(2); 29-36. 3. Aleykutty NA, Bindu AR, Sangeetha S, Jiljit G. (2005) ; Evaluation of anti-inflammatory and analgesic activity of Wrightia tinctoria leaves; Journal of Biologically Active Products from Nature; 1(1); 33-41. 5. Bahmani M, Shirzad H, Majlesi M, Shahinfard N, Rafieian-Kopaei M. (2014); A review study on analgesic applications of Iranian medicinal plants; Asian Pacific journal of tropical medicine; 7S1; S43-53. 7. Ha LM, Que DT, Huyen DT, Long PQ, Dat NT (2013); Toxicity, analgesic and anti-inflammatory activities of tectorigenin; Immunopharmacology and immunotoxicology. 1(3); 336-40. 8. Hebbes C, (2016); Non-opioid analgesics, pharmacology; 1-4. 10. Karthika R, Prasath D, Anandaraj M. (2018); Comparative gene expression studies of candidate genes associated with defence response in ginger and mango ginger post inoculation with Ralstonia solanacearum; Physiological and Molecular Plant Pathology;103; 1-7. 12. Long AC, Medeiros DM. (2000); Evaluation of capsaicin's use in analgesic medicine; Journal of nutraceuticals functional & medical foods; 3(2);39-46. 13. Makonnen E, Debella A, Abebe D, Teka F. (2003); Analgesic properties of some Ethiopian medicinal plants in different models of nociception in mice. 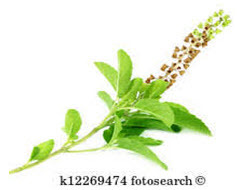 Phytotherapy Research; An International Journal Devoted to Pharmacological and Toxicological Evaluation of Natural Product Derivatives; 17(9); 1108-12. 15. Noori WO, Waisi BI, Alhassani MH. (2018); Extraction of glycyrrhizin from licorice (Glycyrrhiza Glabra L.) by bulk liquid membrane; Environmental Technology & Innovation; 12 ; 180-188. 16. 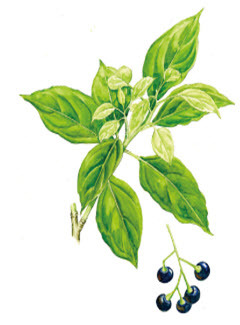 Pandey G, Madhuri S. (2010) ; Pharmacological activities of Ocimum sanctum (tulsi): a review. 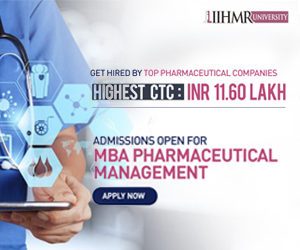 Int J Pharm Sci Rev Res; 5(1); 61-6. 17. Singh S, Majumdar DK. (1995); Analgesic activity of Ocimum sanctum and its possible mechanism of action; International journal of Pharmacognosy; 33(3); 188-92. 18. TB, Kumar CT. (2010); Analgesic and antipyretic activities of ethanol extract of Stereospermum suaveolens; Journal of dietary supplements; 7(2); 104-16. 20. Winterbottom AE. (2014); Of the China root: a case study of the early modern circulation of materia medica. Social History of Medicine 28(1):22-44.